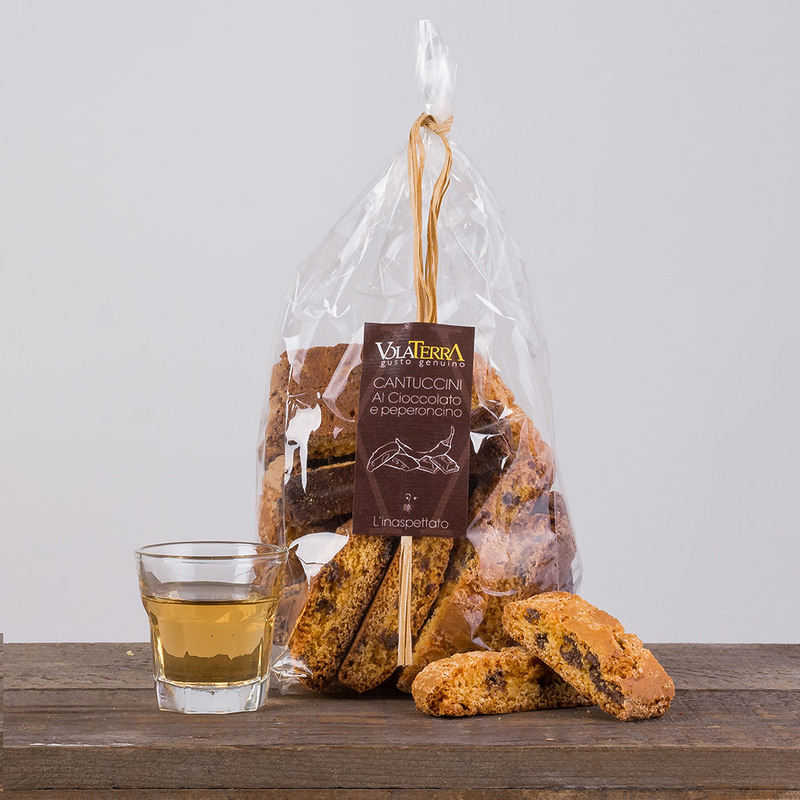 Walnut cantuccini are perfect to be tasted with some good wine, red or white, with vin santo or a liqueur, but also with some coffee or milk. 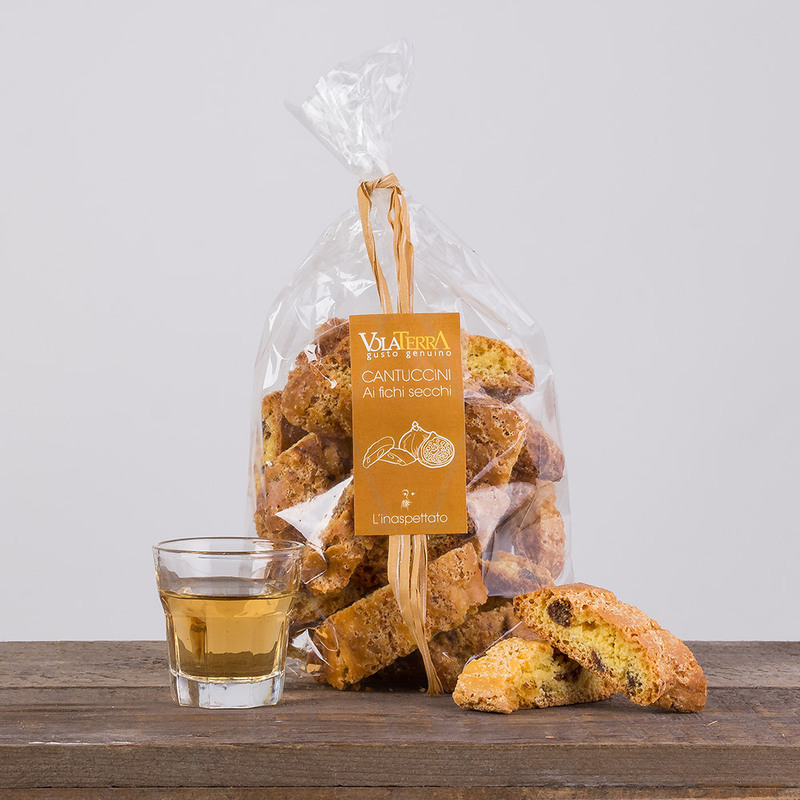 The walnut flavour combines perfectly with the sweetness of the cantucci. 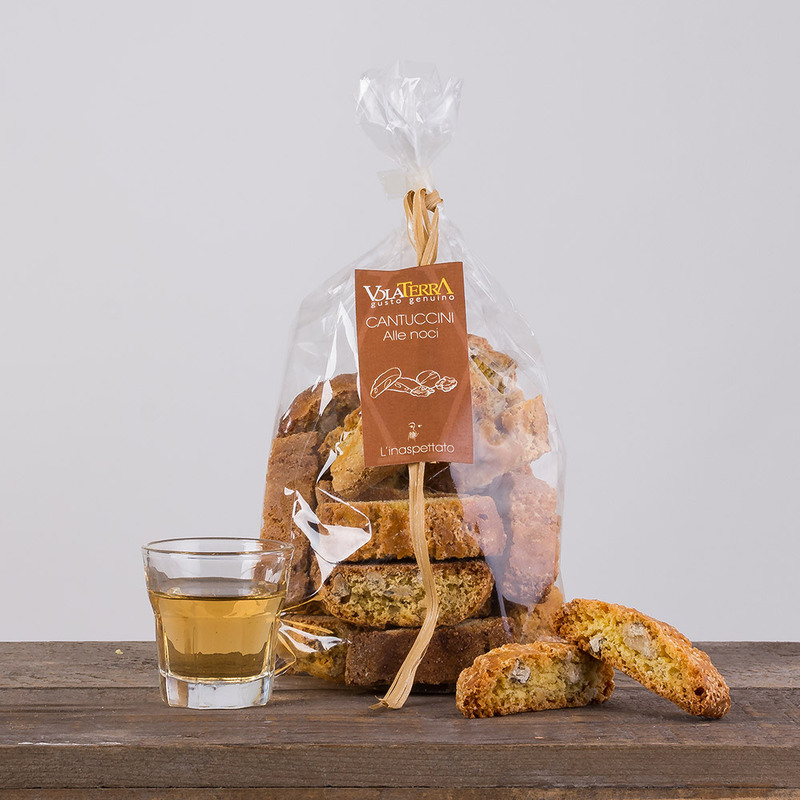 One of the most interesting variations of the most typical Tuscan dry cookies. Ingredients: Soft wheat flour, Sugar, Walnut, eggs, E450, E500, wheat starch, salt, ammonium bicarbonate.